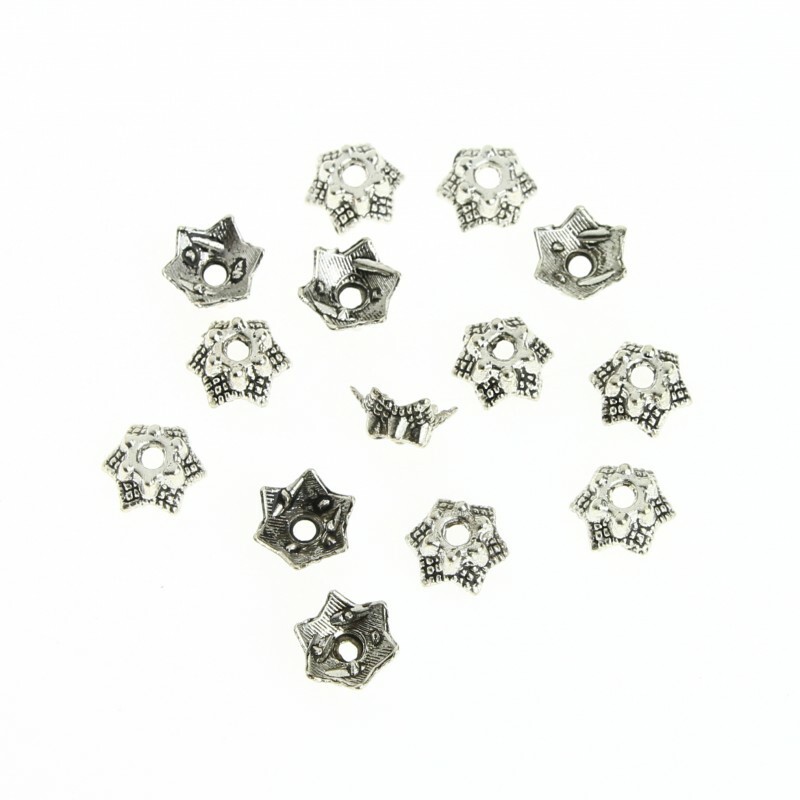 Bead cap shaped six-pointed star. This bead cap presents form of six-pointed star with a flower in the middle of it and is ideal for decorating natural stone round beads included in your crafts. 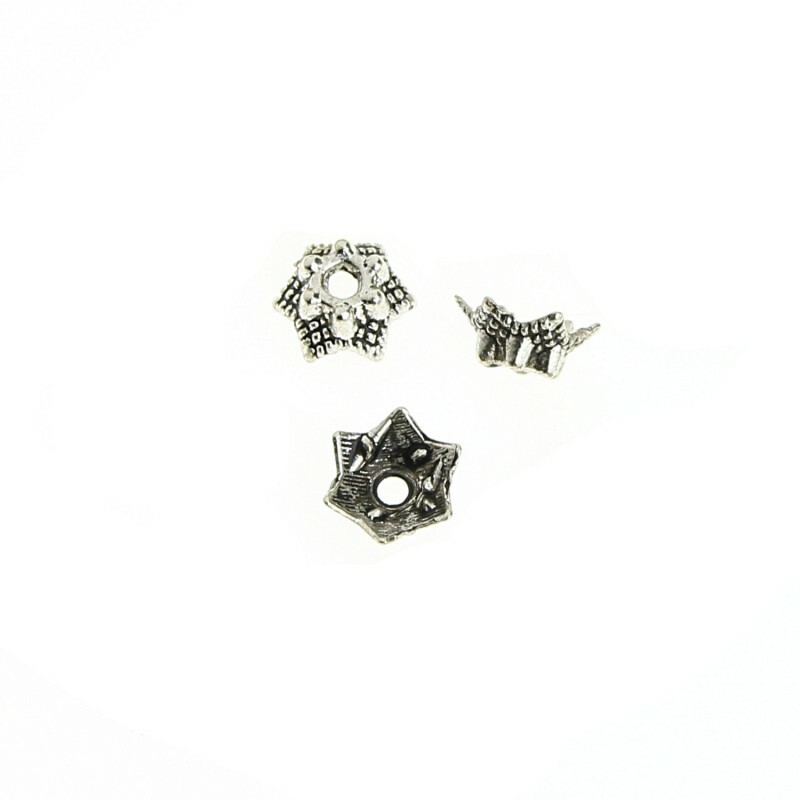 Size: 6 x 3 mm. Hole of about 1 mm. If you buy a bag of 20 grams, you will receive approximately 125 pieces.